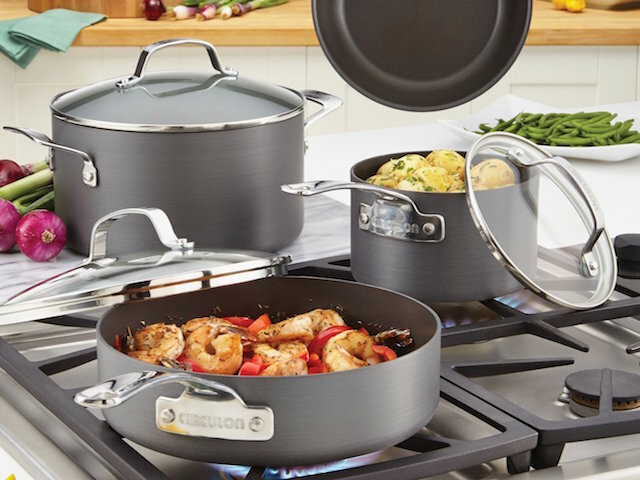 Launched in 1985 as the first hard-anodized nonstick cookware, Circulon revolutionized cookware fabrications and cooking efficiency, and remains an industry pioneer three decades on. Home cooks appreciate and embrace the convenience and capability of durable, high-performance Circulon cookware, kitchenware, teakettles and cooking tools. The Total nonstick system, the cookware’s signature feature, is a unique nonstick cooking surface of raised circles, and one of the most efficient nonstick technologies in the world. Circulon continues to engineer cooking solutions that meet and surpass the evolving needs of the 21st century kitchen.